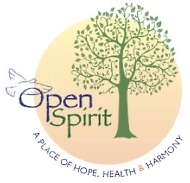 Open Spirit is a center with a mission to seek to heal the world holistically--one person, one program, one relationship at a time. "We build bridges between spiritual traditions, through conversation and shared ritual. We heal bodies and minds through yoga, mindfulness, qi gong and more. We honor and seek to heal our connection with the earth and the web of life. Open Spirit member Eve Costarelli, a professional flamenco dancer and yoga instructor, who works directly with the students at Hoops & Homework, will be the featured performer. Eve will bring with her the guitarist and vocalist who travel with her to perform ¡Olé Flamenco! across the state. Please join us at Open Spirit for this fundraiser featuring flamenco music and dance in support of Open Spirit's Nourishing Teachers/Strengthening Classrooms Project's work at Hoops & Homework. This promises to be an entertaining afternoon of dance and live music for the entire family. The Nourishing Teachers/Strengthening Classrooms Project is a community outreach program that supports both teachers and students in mindfulness practices and mind/body awareness. Hoops & Homework offers academic and enrichment services to at-risk youth living in and around the Beaver and Waverly Street areas of Framingham. Through the generosity of private donors, Open Spirit's Nourishing Teachers/Strengthening Classrooms Project has been able to offer students in the Hoops & Homework program, after school sessions in both flamenco dance and mindfulness/yoga. Miss Jeanie's Catering and Nzuko will provide light Spanish-themed refreshments. This event is co-sponsored by Re-Vibe: Music and Arts that Inspire. Re-Vibe is a collaboration of three healing communities: Root & Wings, Open Spirit, and Common Street Spiritual Center, with a mission to bring people together to celebrate and experience the connective, inspirational, and transformative powers of music and the arts.